Do you need a plumbing repair at your home? Don’t ask a friend or relative for help. It sounds like you need professional help. And Handy man Handy can provide you with that. So hire us now if you need an inexpensive plumbing repair that is carried out by trained handymen. You can’t go wrong when you do it this way and it’s far safer than trying to do it yourself. So much could go wrong if you do it yourself. Call 020 8434 7477 now for decent and affordable plumbing services. You will get a free quote, lots of help, and friendly advice. You know we’re the best ever! We are a well established company in the area so if you need any sort of plumbing work carried out at your home or office, we are certainly the best company to choose and we can assure you that you won’t regret booking a date with us for a professional service. We will leave you with a smile. Do you need plumbing installations? Do not, whatever you do, try installing anything yourself! When you do this, you risk lots of different problems. It is far safer to hire the professionals like us the next time you seek professional plumbing installations. The thing about hiring us is that we get it right and won’t leave any problems arising further down the line. It could be trouble if you do it yourself. If your pipes burst all of a sudden or your drains get clogged up, you can turn to us any time for first class emergency plumbing. You are always guaranteed high quality services when you hire us so please go ahead and hire us now. With our emergency plumbing service, you don’t have to worry if you’re stuck in a sticky situation because in next to no time, we’ll have everything sorted out for you and you can wave goodbye to stress and hassle and of course, any plumbing problems you have. 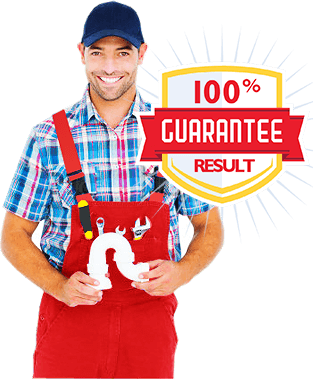 If you need plumbing repairs at any point at all, do hire us today and we can assure you that you will be highly satisfied with our services. Our handymen will carry out the task and these lads, with their skill and experience, can work miracles. There is no doubt about it, if you have any plumbing issues you are dealing with, you can depend on these guys with your life and they will not let you down. You never know when you might need help. So it’s a good idea to keep us in your contact list. For any fixtures and anything that needs mending, Handyman Handy is right here to help you. Or maybe you need installations? Whatever you need, you can be sure that when you book with us you will be more than impressed with what we supply to you. There are no hidden fees when you hire us either, which we think is only fair. But a lot of companies add on fees, much to the client’s annoyance. Call us now for a free estimate on 020 8434 7477. We’re always available.